One of the coolest parts of my New Mexico experience is watching the Hollywood invasion. 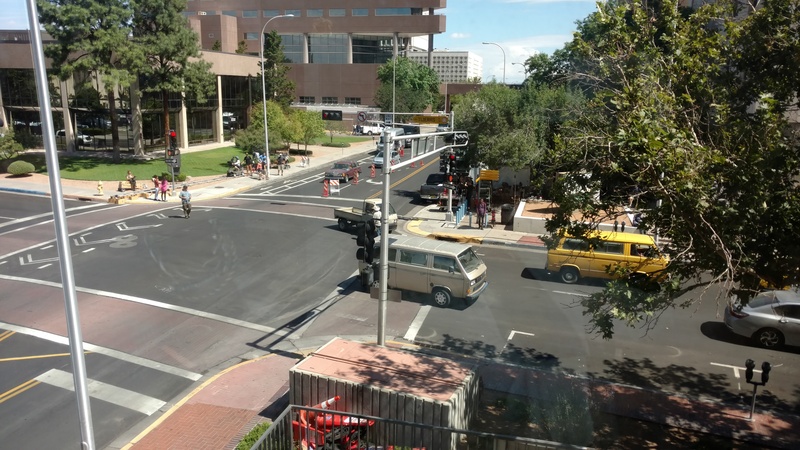 Recently, our Albuquerque office was surrounded by the crew filming the new series, “The Brave”, starring Anne Heche and Mike Vogel, produced by Universal Television and Keshet Studios. I happened to have a great vantage point from my local office window to capture the crew in action. That is what I do for a living, Bill.